Printable cursive alphabet letter chart with small letters in A4 format without arrows. Suitable for kids ( for home and school use ). 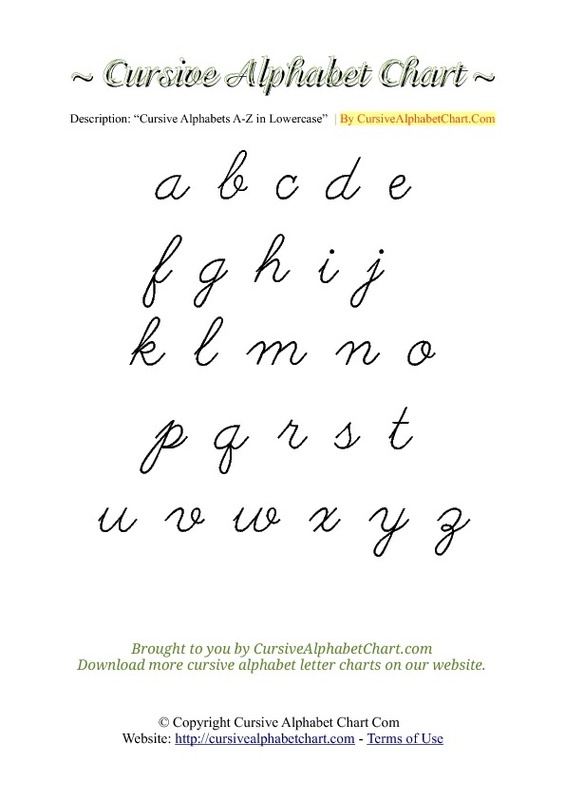 Download our free lowercase cursive letter chart without arrows below which contains all 26 letters of the alphabet in cursive form. Free printable cursive letter chart without arrows suitable for kids. A to Z alphabets.